It’s here! Listen to the new album below or buy it on iTunes, Amazon, or Google Play. Have you ever had one of those days when the tears in your eyes make the sun’s rays seem impossibly beautiful? When the complex and improbable splendor of the world around you makes you giddy and sad at the same time? When you just can’t believe how lucky you are to be alive, despite how hard it all seems sometimes? High Fiction is Gary Grundei and Amy Shelley, two talented multi-instrumentalists who make densely layered, carefully constructed pop music that will bring a smile to your face and a tear to your eye — often at the same time. The two veteran musicians have spent most of their musical careers helping other people bring their musical visions to life. With their debut album, to: whom it may concern, Gary and Amy realize their own artistic aspirations, creating a collection of songs that are simultaneously heartwarming and heartbreaking, confident and vulnerable, ornate and airy. Like a cool blanket on a hot summer night, the music of High Fiction is both unexpected and comforting. The 11-song collection looks through a uniquely curious and caring lens at universal themes of love, loneliness, longing, and this journey we call life. Literary-yet-ingenuous lyrics combine with addictively hummable melodies and lush arrangements, resulting in songs that tickle the brain, warm the heart, and move the body. Production by Dave Wilton (A Boy & His Kite and Loud Harp) is polished to an immaculate sheen that lets each painstakingly crafted layer of sound and syllables shine through. Trading duties throughout the album, Gary and Amy’s voices ring with purity, truth, happiness, and heartbreak. Guests on the album include internationally renowned guitarist Janet Feder, trumpet legend Ron Miles, and vocals from The National’s Matt Berninger. 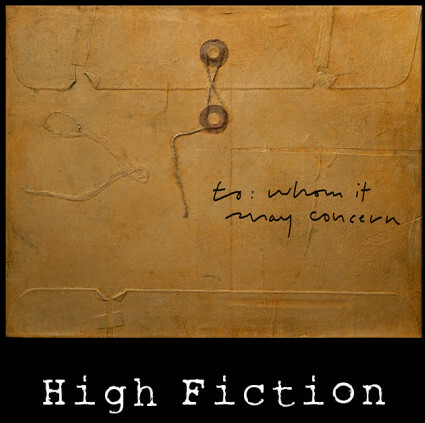 High Fiction makes music propelled by love, curiosity and an overwhelming desire to understand, connect with, and improve the world we live in. Let them give you a hug. Sign up for our email list to be the first to hear about new releases, events and special offers! This website and all of its contents are © 2018, High Fiction. Thanks for stopping by!